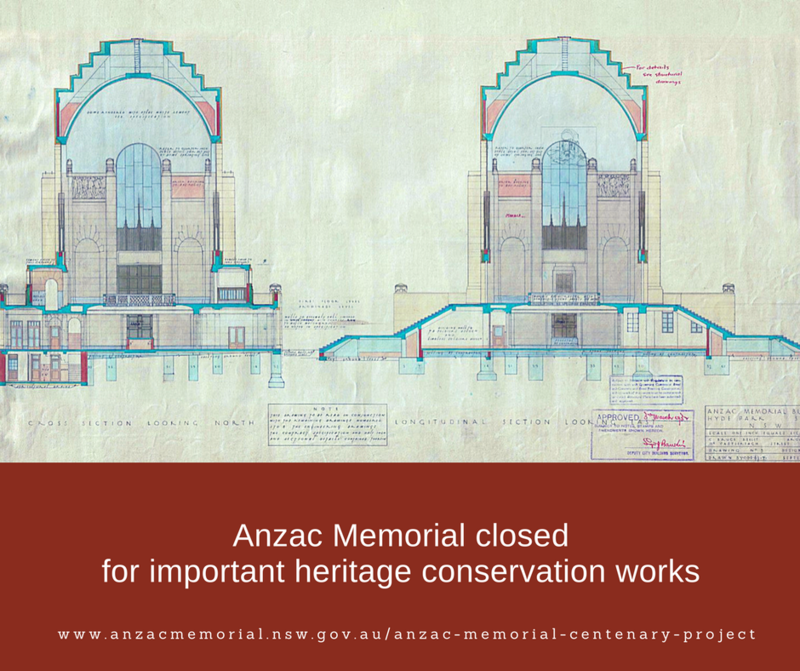 As work progresses on the Anzac Memorial Centenary Project we have a rare opportunity to perform some important heritage conservation in the Memorial’s Hall of Memory and to the amber glass windows. Scaffolding is scheduled to be built around the Memorial’s upper podium level from 27 April and will be in place until late September 2018, resulting in an extended period of closure until the official opening of the Centenary Project later this year. We apologise for any inconvenience and thank you for your patience. Our staff will have some limited presence on the Memorial’s northern forecourt during the closure. They will be happy to attend to visitor’s queries when on site.